Provide comfort for the family of Joe Henderson with a meaningful gesture of sympathy. Obituary for Joe Lee Henderson Jr.
Joe Lee Henderson of Irving passed away March 28, 2019. He was born on March 9, 1934 in Waco Texas to Joe Lee Henderson, Sr. and Edna Elizabeth (Evans) Henderson. He was a member of Oak View Baptist Church in Irving where he taught men’s bible study classes. Joe served his country in the United States Navy from 1953 to 1957 serving in the Korean War. He was an excellent artist painting beautiful landscapes and portraits. He also enjoyed playing golf and was a self-taught guitarist. He later went on to take classical guitar lessons. He also enjoyed jogging, walking and water aerobics. Joe loved eating ice cream. Preceded in death by his parents and brother David Patrick Henderson. Joe leaves behind to cherish his memory wife of 57 years Dorinda Henderson; son Steve Henderson and daughter Angela Henderson; brother Paul Henderson and wife Diane and sister-in-law Josephine Henderson along with many loving nieces, nephews’ cousins and friends. The family will receive friends from 6:00 to 8:00 pm on Monday, April 1, 2019 at Brown’s Memorial Funeral Home. 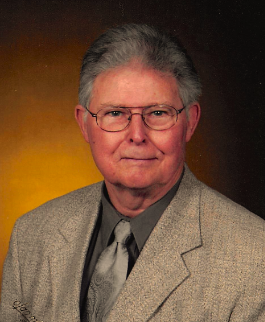 A funeral service will be held at 10:00 am on Tuesday, April 2, 2019 at Oak View Baptist Church 1004 South Story Road in Irving with Dr. Jim Gerlach officiating. Internment will follow at 2:00 pm at Waco Memorial Park, 6623 South Interstate 35 in Robinson, Texas. To send flowers to the family of Joe Lee Henderson Jr., please visit our Heartfelt Sympathies Store. We encourage you to share any memorable photos or stories about Joe. All tributes placed on and purchased through this memorial website will remain on in perpetuity for generations. Provide comfort for the family of Joe Lee Henderson Jr. by sending flowers.